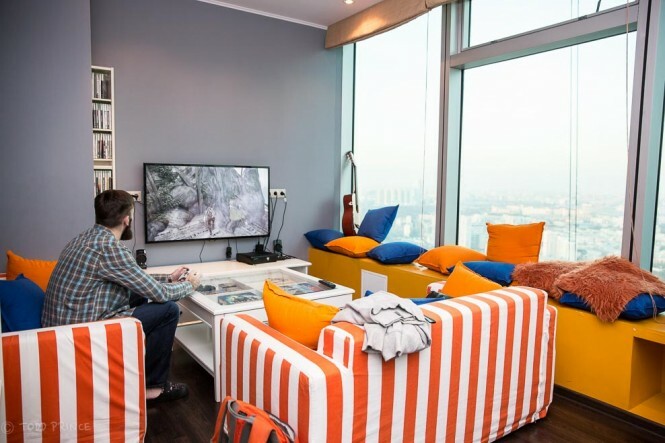 Moscow Skyscraper Hostel – Sign of Recession? Isn’t a Hostel in a Luxury Skyscraper a Contradiction? 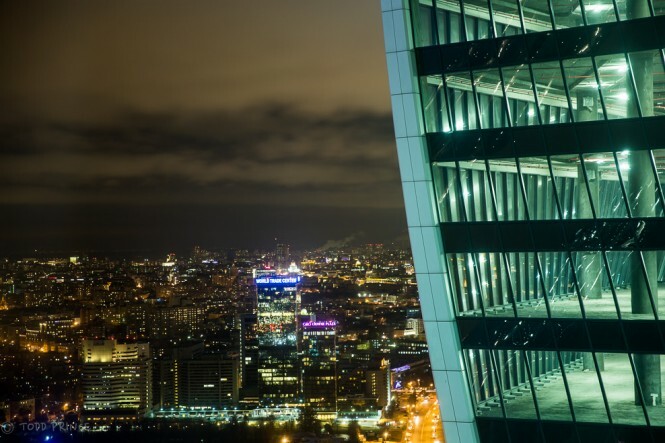 When I read that a hostel had opened on the 43 floor in a new skyscraper in Moscow City, I started scratching my head….. 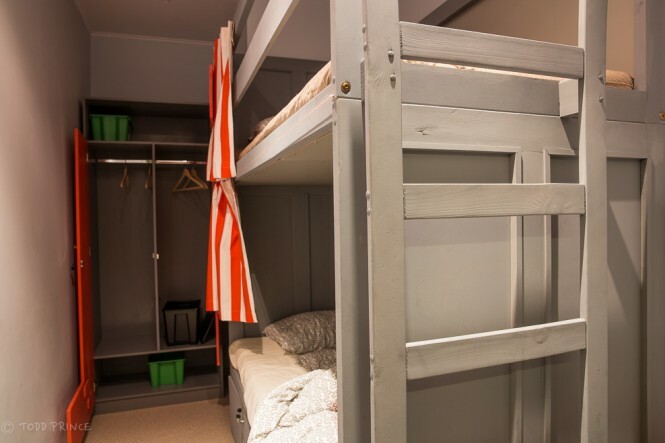 The purpose of a hostel is to offer a cheap bed with few, if any, frills to budget-conscious travellers. You may sleep with a 3, 5, 7, or 11 other people in a room with one toilet and bath per room….if even that. On the other hand, skyscrapers tend to be associated with wealth and luxury. 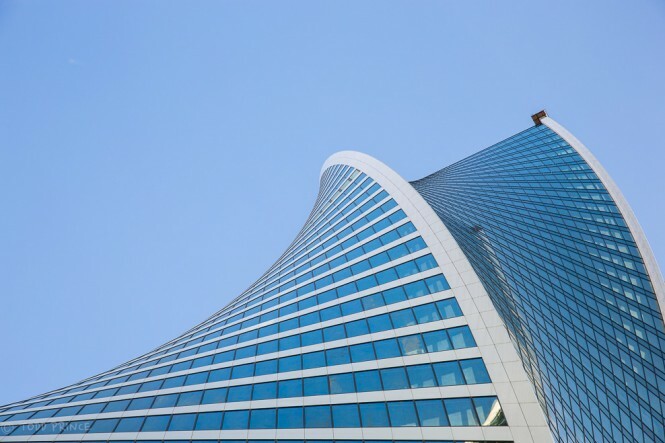 A company or individual pays a high rent for a top spot in a skyscraper to impress clients or friends – it’s like a gold-encrusted business card – a sign of success. If you want to offer cheap accommodation to budget-conscious travellers, you will need to keep your costs – specifically your rent – low. Thus, a spot at the top of a brand-spanking new skyscraper in one of the world’s more expensive cities would not intuitively be the place to open a hostel. Even if you were willing to run it at zero profit, you would think that there would still be great difficulties to opening a hostel in a luxury building from fellow tenants…. Russian Millionaires alongside Backpackers in Dreadlocks? One thing a company or individual owning/renting expensive space in a skyscraper wants is a neighbour that maintains/enhances the prestige of the place….having 24 backpackers ‘fresh’ from the Trans-Siberian train ride, or some other overnight trip through the former Soviet Union, sleeping in the apartment next to you doesn’t fit that bill. That sense of indignation would likely be stronger in Moscow than in other major cities because there is a greater tendency to display excessive wealth here and be surrounded by others of the same financial level. It is hard to imagine a very wealthy Russian government official or oil company executive (or their children) taking the elevator up and down each day in their luxury skyscraper surrounded not only by their bodyguards …..but a dozen or two people fitting the stereotypical image of a backpacker: financially constrained 20yo in dusty clothing, sporting dreadlocks and sandals and reeking of sweat from their latest trip. 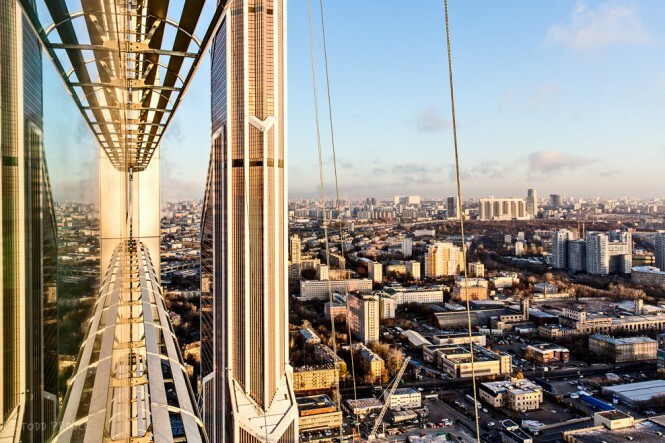 However, a visit to Moscow City will give you the answer to this apparent contradiction even before you take the elevator up to the 43rd floor of the Empire skyscraper to hear the story of the young men that opened the hostel. 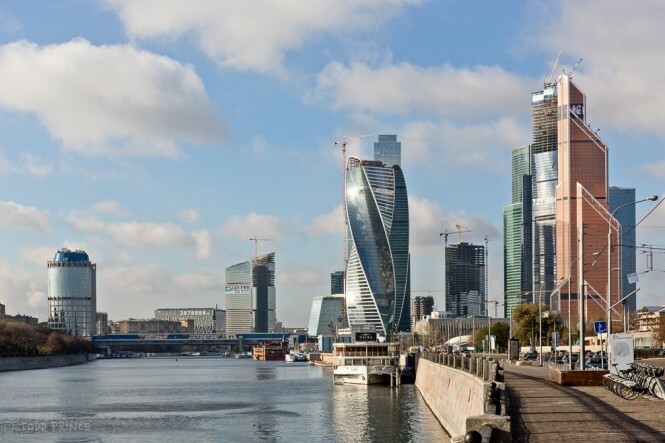 Moscow’s Financial District, also known as Moscow City, has been a huge construction site for the last 10 years. More than a dozen buildings are slated to be built here when all is completed by the end of the decade. 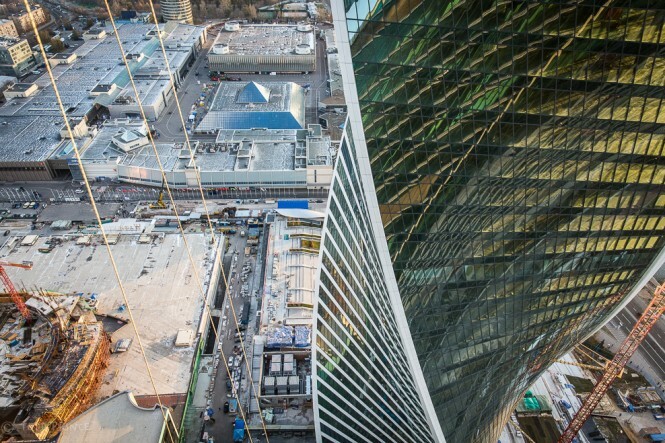 About 7 skyscrapers are already complete with more finishing in the next two years. 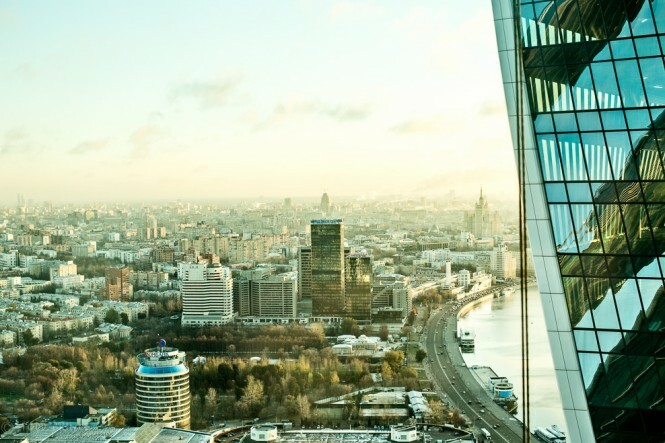 The massive supply of office space and luxury apartments in Moscow City is coming just as Russia is headed for its second recession in 6 years. Companies will be looking to cut costs and perhaps downside their office space. 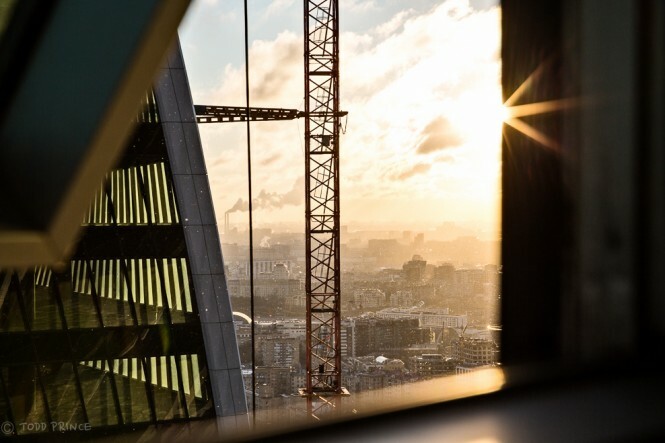 Possible corporate tenants for Moscow City like international investment banks are cutting back on employees, transferring some to London on expectations that Russia’s securities market doesn’t justify high head count locally. If the bankers, lawyers and accountants aren’t going to be working and living in Moscow City, who are those wealthy Russians that rushed to buy apartments in the skyscrapers going to rent to? Roman Drozdenko, 25, and his partners Alexander Lavrentiev and Eduard Chiganov explored the idea of opening a hostel in Moscow because, in their view, the number of hostels in the Russian capital were few the quality not great. The three sought to rent a large apartment somewhere near the historic centre, but owners demanded high rents (~$10,000 a month) that made the return on the investment unattractive. In addition, there were restrictions on changing the layout of such apartments, such as adding additional showers and toilets, they said. The three asked a friend working in real estate if he could help them find a spot. The real estate friend recommended looking at apartments in the recently completed 58-story Empire building. Floors 43 through 58 were set aside for about 450 luxury apartments, but only about 5 were occupied by residents and a handful by companies. After talks with the management team and apartment owner, the three friends agreed in early 2014 to rent a 150sqm flat on the 43-rd floor that they would turn into a 24-bed hostel. 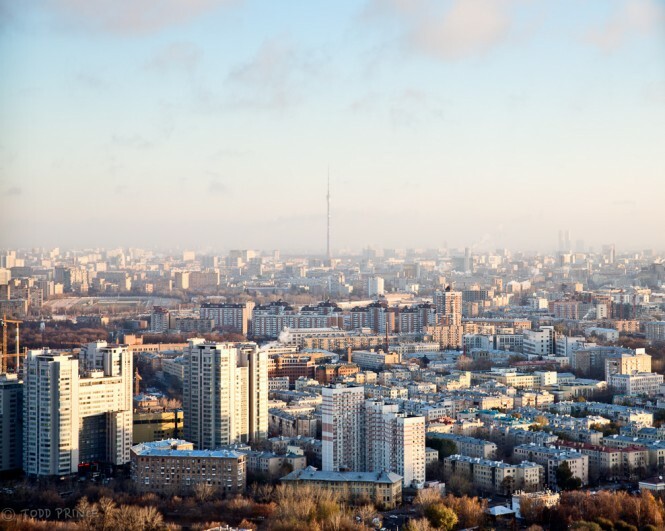 The hostel contract is for four years….indicating to me that the apartment owner doesn’t see a turnaround in luxury demand in Moscow City until the end of the decade. That is probably not a bad guess by the owner considering that only one of the other 30 luxury apartments on this floor are in use…and that the skyscraper standing opposite will soon open. The hostel, called High Level, officially opened on Sept 21. 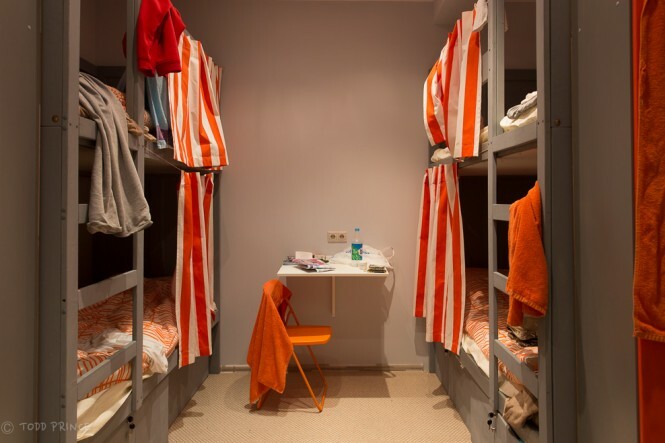 The hostel offers two 2-bed rooms for 1,500 rubles ($36) a spot, two 4-bed rooms for 1,300 rubles a spot ($31) and two 6-bed rooms for 1,100 rubles ($26). There are three showers, each with a toilet. The rooms don’t have windows, but do have a thermostat to control the air temperature. The view onto Moscow is visible from the common room and kitchen. While the Kremlin isn’t visible, hidden by the Evolution building, which is under construction, one does get a great ~150 degree view of the sprawling city. The hostel’s bed prices are higher than most in Moscow (400-700 rub median range), but this is a new, clean hostel with a great view. 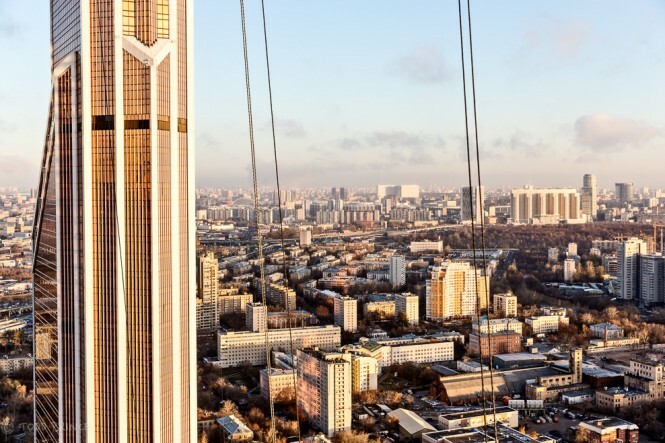 To put High Level’s price into perspective, a backpacker wishing for a ~360 degree view on Moscow from the Empire’s viewing deck – the only publicly available viewing spot in Moscow City – would have to pay 600 rubles. For double that price, you get a ~150 degree view, a bed, breakfast and all the coffee you want. I was impressed by the hostel’s clean conditions and would recommend it for budget-conscious travels – at the very least for one day. You can offset the higher-than-usual cost by saving money from skipping the viewing deck on the 58th floor. The main draw back for budget travellers is that it’s not near the historical centre. Thus, to avoid paying 400-500 rubles for a cab back to the hostel, you will need to catch the metro before it closes at 1am. Oddly, the clientele isn’t the stereotypical foreign backpacker that Roman though he was going to see checking in. During three visits to the hostel, I found nearly only Russians staying there, including some visiting Moscow for work. 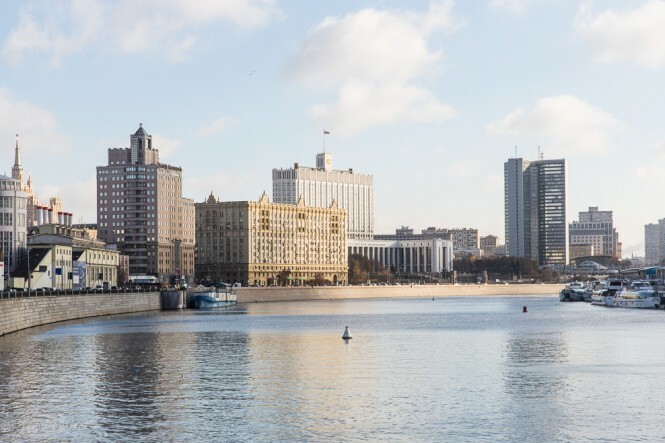 The hostel is next to Moscow’s largest exhibition centre, which attracts people from around the country taking part in the various business events that are held there. There are three hotels within walking distance of the exhibition centre, but prices probably range anywhere from 6,000 rubles (~$150) to 20,000 rubles. Some of the High Level hostel guests were in town for exhibitions. One businessman active in the stock market had been staying there for weeks. One of the first High Hostel guests was a businessman who worked in the neighbouring building, but lived far outside the centre. Staying at the hostel saved him a few commuting hours. Business cards left on the wall by guests confirmed this wasn’t a backpack haven…. there was even a card left by a government official from the breakaway republic of Abkhazia. One of the hostel workers mentioned that a group of 6 or so Muscovites rented out the whole hostel for a night to celebrate a birthday and gaze out on the city. Perhaps the sign of the Russian recession isn’t so much a hostel in a luxury sky rise, but business people staying at a hostel? A quick internet search showed that there is a hostel on the 18th floor of a skyscraper in Tokyo, Japan…a country that has been in recession for some two decades. 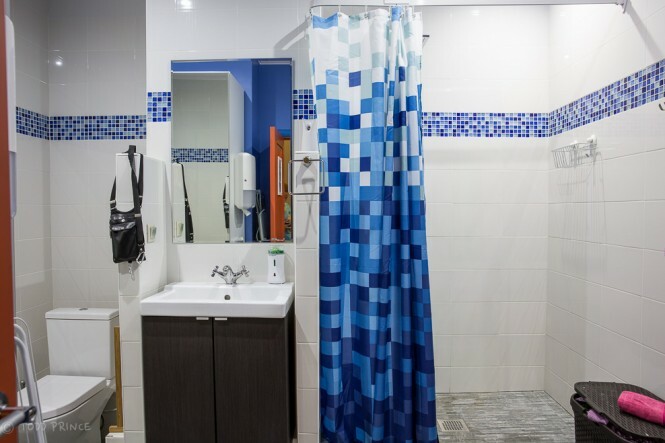 For more information on the High Level hostel in Moscow City, or to book, please check out there site here. The view from the hostel window looking straight ahead. To the right is the Evolution skyscraper, which is still under construction. 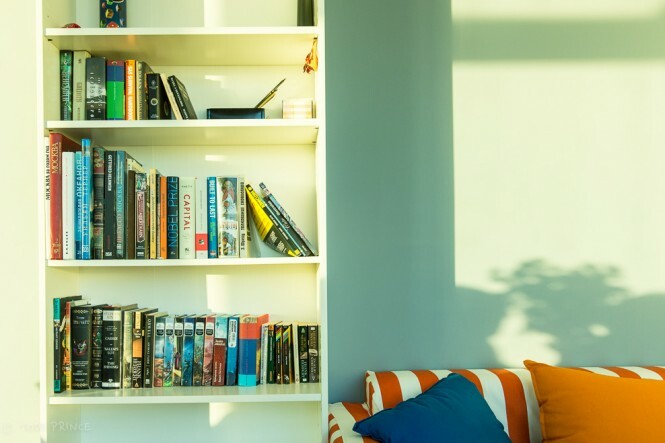 The book case and couch opposite the window. The hostel has a small window that opens up. This is the view from that small window looking out toward the right. To the left is the Evolution building. Looking down to the ground level from the hostel window. The Evolution building, which is built in a twisted format, is to the right. The Ostankino TV Tower can be seen from the hostel on a clear day. The Mercury Building, Europe’s tallest, can be seen to the left when looking out the hostel window. This photo is parallel to the hostel window, which is creating a reflection of the the Mercury Building, Europe’s tallest. Danil, one of the hostel’s workers, looking out the window during the early morning hours. 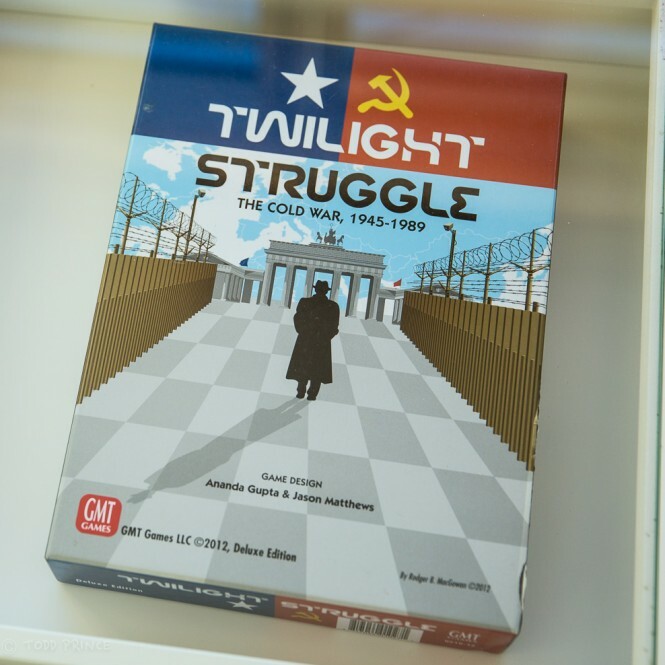 When the rain blocks the attractive view, hostel guests can play video games including Twilight Struggle. 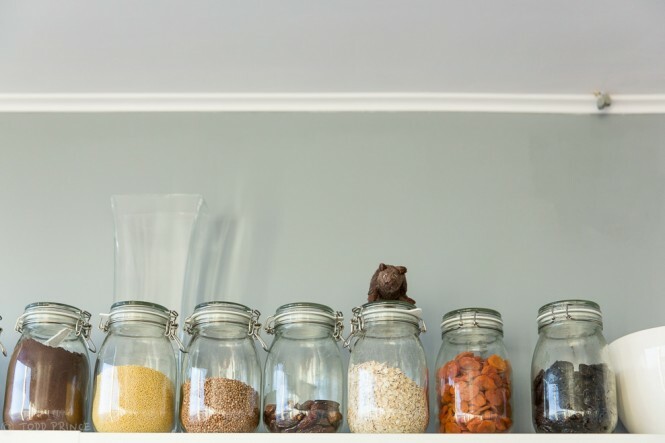 A toy mouse sitting atop the jar with oatmeal. Dried fruit for breakfast are to the right of the oatmeal. 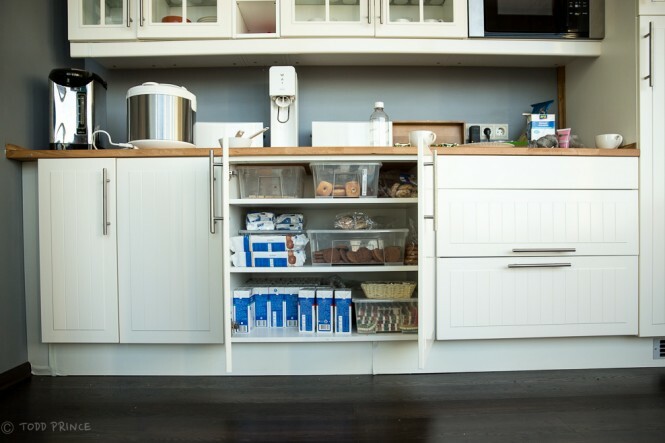 The hostel kitchen with cookies and snacks for the hostel’s guests. The two-bed room. The bottom bed could expand out if a couple would prefer to share the same bed. One of the three showers with toilets. A view of the Moscow Financial District from the river side. The Empire skyscraper, where the hostel is located, stands behind and to the right of the twisting Evolution skyscraper (centre). The view from the hostel at night looking directly out the window. The Evolution skyscraper is to the right. The neighbouring Evolution skyscraper as seen from outside the Empire building. A view of the Russian White House (centre with flag) as you walk along the Moscow River from the hostel. The High Level hostel’s common area with TV screen and video game. 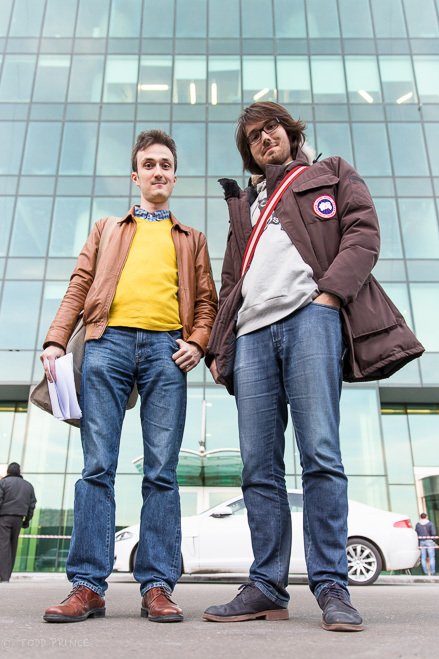 High Level hostel founders Eduard Chiganov and Roman Drozdenko in front of the Empire skyscraper. The hostel is located on the 43rd floor. 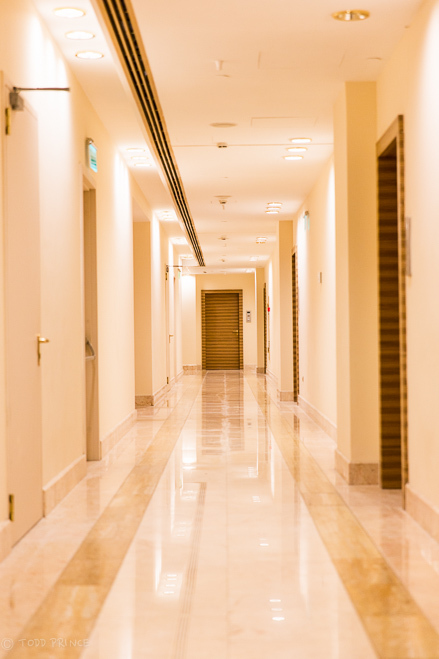 The empty corridor on the 43rd floor of the Empire skyscraper, where the hostel is located. do keep up the excellent work.